This year marks the 50th anniversary of oil and gas production from our Bass Strait fields and the 70th anniversary of the opening of our first refinery. In a few short years pioneering explorers back in the 1960s discovered many of Australia’s largest oil and gas deposits off Victoria’s Gippsland coast. Our nation’s economy, and a whole generation, has grown up on the benefits delivered by that brief exploration campaign. The Bass Strait fields have produced more than half of Australia’s crude oil and hydrocarbon liquids. In their halcyon days they were providing over 10 percent of all government revenue. They were discovered as a result of collaboration between government, the community, and the shareholders of Esso and BHP. Without the involvement and alignment of all the stakeholders, that costly and ambitious exploration program would probably have remained a pipe dream. Now that those world-class fields are approaching the end of their lives, ExxonMobil Australia Chairman Richard Owen will explain the challenges and opportunities we face in securing the energy we need to sustain the economy and standard of living for the next generation. Richard Owen is the Chairman of ExxonMobil Australia. ExxonMobil Australia is this country’s oldest petroleum company, operating since 1895. The business covers a wide range of petroleum related activities from oil and gas exploration and production (upstream operations), to petroleum refining and supply of fuels and lubricants (downstream operations). ExxonMobil’s primary role - and most important contribution to society - is to safely provide reliable and affordable supplies of energy, and they are committed to doing so in a financially, environmentally and socially responsible manner. He joined Esso Australia in 1983 and began work at the Longford Plants. Following a number of engineering, operational and management assignments in Sale, Sydney and Melbourne, Richard moved to New Orleans, USA and was appointed as Operations Manager in 2001. In 2011, Richard was appointed to the position of President and General Manager for ExxonMobil Affiliates in Indonesia based in Jakarta. Richard returned to Melbourne in 2013 when he was named Chairman of the ExxonMobil group of companies in Australia. Richard is the President of the Australian Resource and Energy Group (AMMA), a board member of the Australian Petroleum Production and Exploration Association (APPEA) and a board member of the American Chamber of Commerce in Australia. 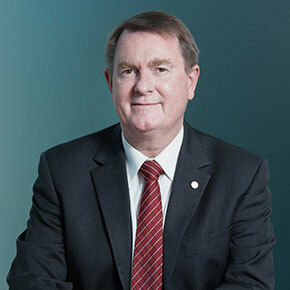 Mr Owen is a Fellow of Engineers Australia and the Institution of Chemical Engineers and a Life Member of the Society of Petroleum Engineers (SPE).